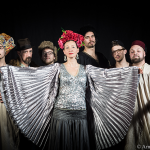 The band Gypsy Sound System Orkestra was formed by an exceptional couple of DJs, musicians and producers, Gypsy Sound System – Dj Olga and Dr.schnaps. In 12 years of their career, they became an important reference on the international scene of the World Music Fusion. They are specially appreciated by all the generations because of their original fusions, bouncing creations, their brighting energy and crazy shows on the stage. 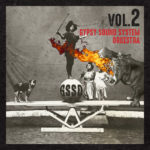 In 12 years, Gypsy Sound System tours seduced with brio the large public from New York to Tokyo, Moscow, Nouméa, Rio, Lima, Budapest and Mexico City. The GSSO, created in 2012, is a logical continuum of their musical vision, in constant evolution. This multi-cultural orchestra is born from the GSS tours, which were always a good occasions to create the collaborations with musicians and producers from allover the world. DJ Olga (PL) – voice lead &composition), Dr.Schnaps (CA, CH) – digital accordion & production, Romain Tinguely (VS) – sax, Axel Luissiez (FR) – drums, Guillaume Chérèze (FR, guitars), Andrew Audiger (FR, piano/machines), MC Paps (LB, rap), are artists passionated by the création of various songs in the new style WORLD FUSION. 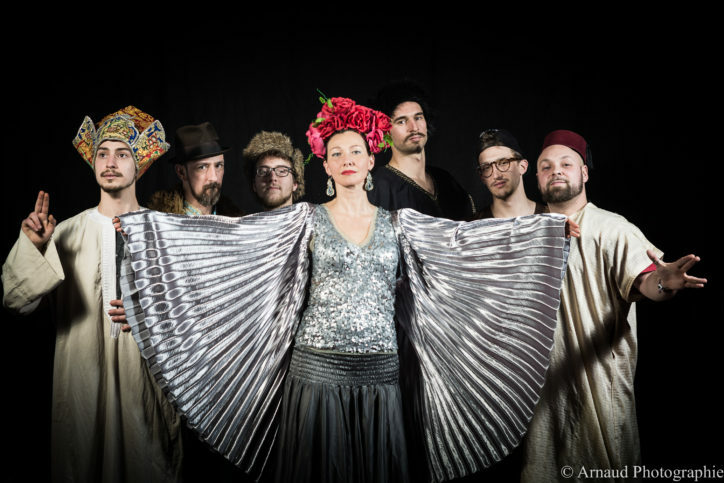 Their compositions are combining the contemporary styles (ragga, hip hop, drum&bass, rock, trap), ethno rhythms (salsa, bhangra, tarantella), samples and MCs, singer’s voices. GSSO concerts are each and every time different and based on the interactions with the public. The exchanges and the games with the crowd are the important part of their energetic show . Thay are creating an unforgettable atmosphere. With 1400 concerts in 40 countries, the GSSO fusion takes over their public in the «dance tornado».